Ooh la la labels! 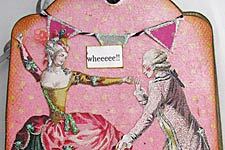 Add that certain je nais sais quoi to your collages, scrapbook pages or journals with these fine Frenchlabels. Note: All of these labels have open areas to write (or stamp or collage...) your own text into ("journaling" in scrapbook parlance). 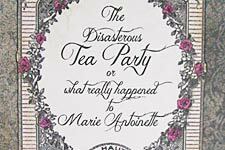 The Disastrous Tea Party by Lora Mahaffey. See the Supply List.